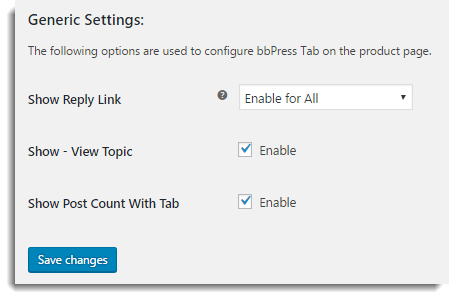 This tutorial explains how to setup bbPress Product Tab plugin. Please refer to the product page to know more about the plugin features. This plugin allows site admin to add the custom tab on the product page under which the Forum Topics and Replies get displayed. The plugin facilitates Admin to define Tab title, decide tab priority. Also, Admin can choose the number of posts displayed on Product page. 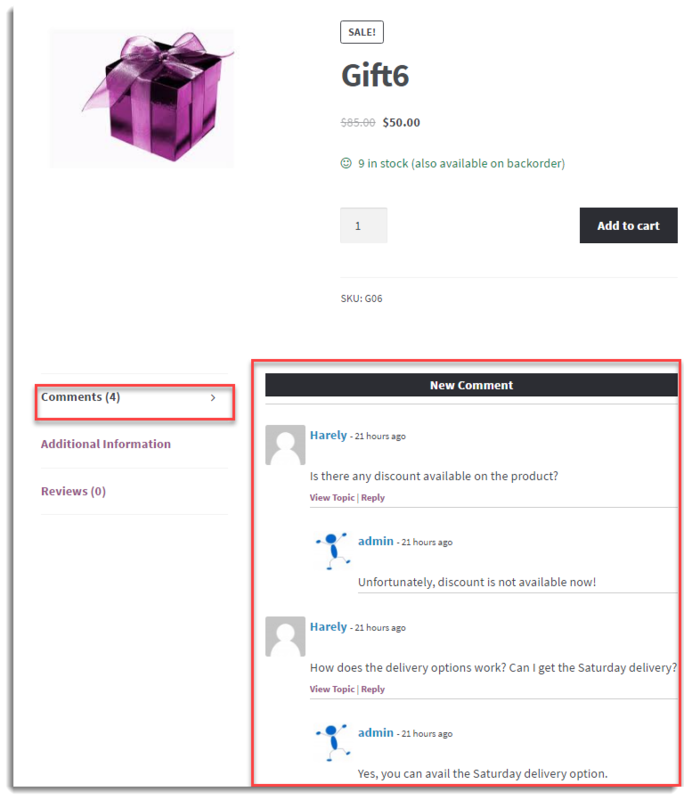 It provides an option to display the reply link on the product page. With this option, admin can choose to display the link for all the users or only the logged in users. Admin can select to display View Topic on the Product Page. Also, the plugin gives the option to add the post count with customized tab. This tutorial will give you an excellent launch pad to kick-start the usage of Product tab for bbPress. It will give you all the essential knowledge and step-by-step instructions. 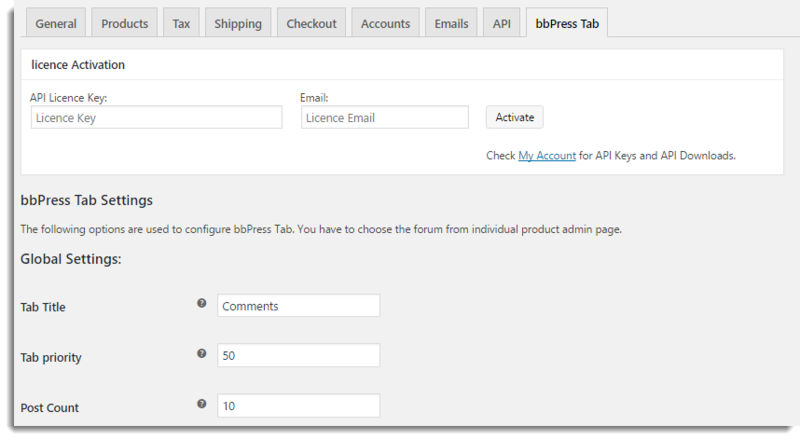 The user has to install bbPress to customize the product tab with bbPress Forum. After purchasing the Product tab for bbPress plugin, plugin Zip file is available in MY ACCOUNT. Navigate to Plugins > Installed Plugins > Product Tab for bbPress > Settings. Use Global and Generic settings to configure the plugin. To choose the Forum for an individual product, navigate to the individual product page. Tab Title: Enter the title of tab. This title gets displayed on the product page. Under this tab, the customer can see the bbPress Topic and reply of the specified Forum for the product. Tab priority: Tab priority value is used to rearrange the product tabs according to the requirement. Select the priority by using the spin box. Post Count: Select the number of Topic and posts which you want to display on the product page. Disable: Admin can only view the topic. Reply option is not available from the product page. Enable for all: For all customers, Admin can view the topic as well as Reply to it from the product page. Enable for Logged in Users: For Logged Users, Admin can view the topic as well as Reply to it from the product page. Show – View Topic: Select the checkbox to display view topic option on the product page. Show Post Count With Tab: Select the checkbox to display the total number of posts on the Forum. Click Save changes to save/update plugin settings. Select the required Forum from Select Forum drop-down list. This is how you can view the topics from Forum and reply to it. Check out our bbPress Product Tab Plugin. How to Merge bbPress Data?